Drummer known for being a founding member of the band Hinder. Their 2005 debut album, Extreme Behavior, went quintuple platinum, three times in the US and once each in Australian and Canada. 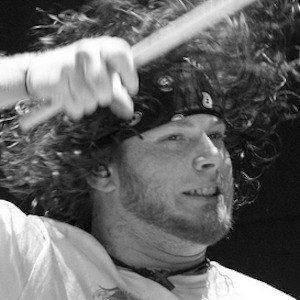 He started playing drums when he was 12 and formed Hinder while studying at the University of Central Oklahoma. The band's second album, Take It to the Limit, went gold in the US and their third album, All American Nightmare, topped the alternative charts. He, Austin Winkler, and Joe Garvey were the original members of the band.